Votex-Bison has equipped its STAMPEDE model with the new FLEX-OPS® system of Meijer Handling Solutions. This system is developed to optimize safety for workers and working environment and to prevent permanent fork deflection or fork breaking. How it works: the patented system makes use of strain gauges that are glued directly to the forks of the Votex-Bison STAMPEDE. These strain gauges are connected to an indicator which shows the load weight on the (telescopic) forks, in percentages or in kilos. 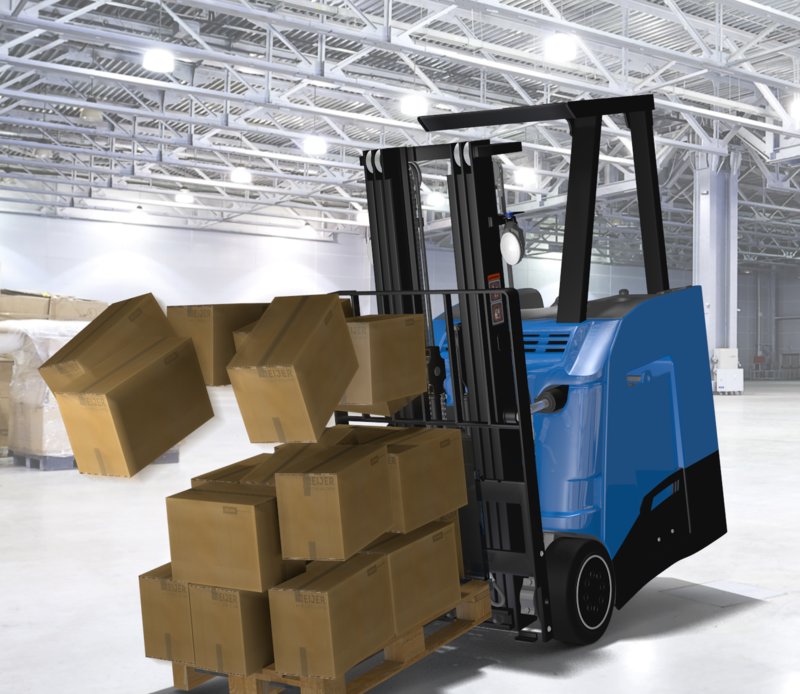 When overloading occurs the FLEX-OPS® will alert the operator with a visual or audiovisual signal. Also, the system saves data on the unsafe overload situation, it records the date and time. Thanks to close cooperation between Meijer Handling Solutions and Votex Bison Material Handling B.V. it is possible to come and see this system during the Logimat 2013 in Stuttgart. You will find Votex Bison in hall 8 stand 222. The LogiMat will take place from 19 till 21 February. Opening hours: 9.00h – 17.00h.